Two articles on cold weather and staying warm. 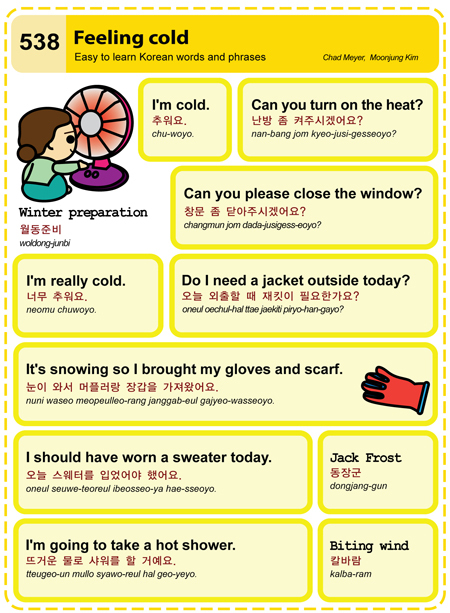 This entry was posted in Series and tagged clothes, coffee, Cold, cold weather, electric blanket, fish cake, gloves, hands, heat, jacket, scarf, snow, street vendor, underwear, warm, wind, window, winter by easykorean. Bookmark the permalink.